The course will offer insightful seminars about different dissemination techniques every social media expert should know, while also receiving invaluable knowledge about the most important social networks of today (Facebook, Twitter, LinkedIn, etc. ), as well as lesser known ones that are on the rise. They will learn how to create high quality content that would have potential to “go viral”, which is the ultimate goal of every social media marketing manager. Target Group – Marketing Managers, teachers and students from the marketing studies field. Objectives – The main goal of the of the project is to increase the knowledge of the participants on the marketing possibilities provided by the Internet. They will be introduced to many different tools that can help in their activities (as per indicated in the detailed schedule), while they will also broaden their knowledge about web-pages, how their content should be created and how to analyse and measure the success of their work. Methodology – Both seminars and workshops will be organised in order to reach the aforementioned objectives. 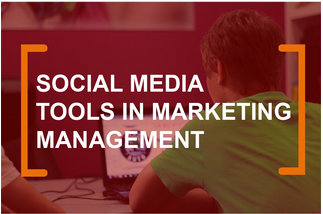 During practical lessons, the attendees will get to know the most popular tools used in Social Media Marketing Management, and they will have many opportunities to actively participate in their usage, in order to encourage pro-active participation. Throughout the course, they will have to chance to ask experts and practitioners about their experiences in the area as well as invaluable tips and tricks that cannot be found in books but which are essential if they want to become real professionals in the field. Training Outcomes – After the training, the attendees are expected to have a better understanding of today’s social media marketing techniques as well as of the different platforms and tools they have to work with in this profession. Through the state-of-the-art skills they acquire during the course, they will be up-to-date on the recent developments in social media marketing, which can help them to become leading experts in this profession. The international environment will enhance their understanding of the slight differences between cultural approaches to marketing, but will also significantly broaden their view of the world of social media management. Through these aspects, the participants will have a wider range of career perspectives both domestically and internationally.